Being more than merely an aid distribution programme, the Sakhalin Indigenous Minorities Development Plan is creating opportunities for the Sakhalin Indigenous Minorities to acquire new knowledge and experience in field of active discussion and resolution of issues of critical importance to them. A product of successful collaboration among the indigenous minorities, the Company and the authorities, the Development Plan is notable for empowering the Sakhalin Indigenous Minorities to choose their own path to sustainable future. This section presents the external monitor’s first report of the Sakhalin Indigenous Minorities Development Plan (SIMDP). The reports cover the life of the SIMDP and are regularly prepared by Gregory E. Guldin, an international expert in Indigenous Peoples, and is a Doctor in Anthropology, who has decades of work experience in the sphere of applied anthropology within the public and private sectors in the USA, Russia, China, Indonesia and Vietnam. 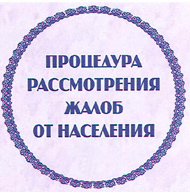 Sakhalin Indigenous Minorities Development Plan 2010 г.